Whew, sorry about that. It’s a little hard to keep the level of humility under control when your team is once again headed to the big game. In all honestly though, I love Super Bowl Sunday no matter who is playing (but it’s always the Patriots). 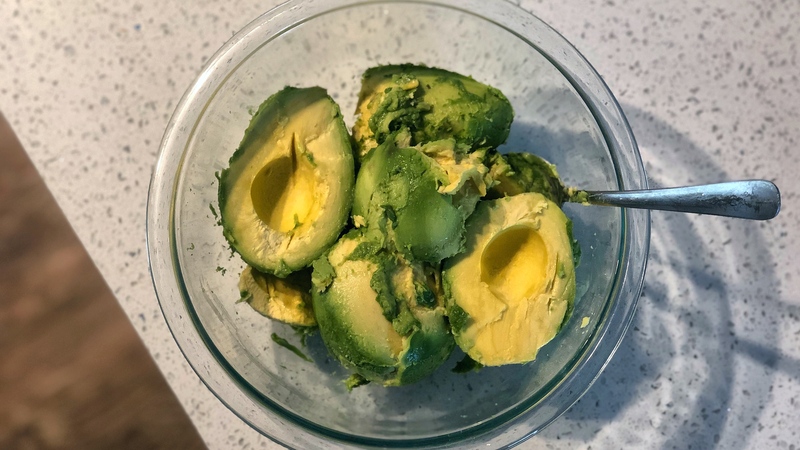 Remove the avocados from their skins & place in a large bowl. Add the lime zest & juice. Mash with a fork until fairly smooth (some texture is just fine). Add the onion, salsa, garlic & chili powder. Mix until all ingredients are well incorporated. Add a generous pinch of salt & pepper to taste. YES, I added salsa to my guacamole. YES, I know that’s not really traditional. 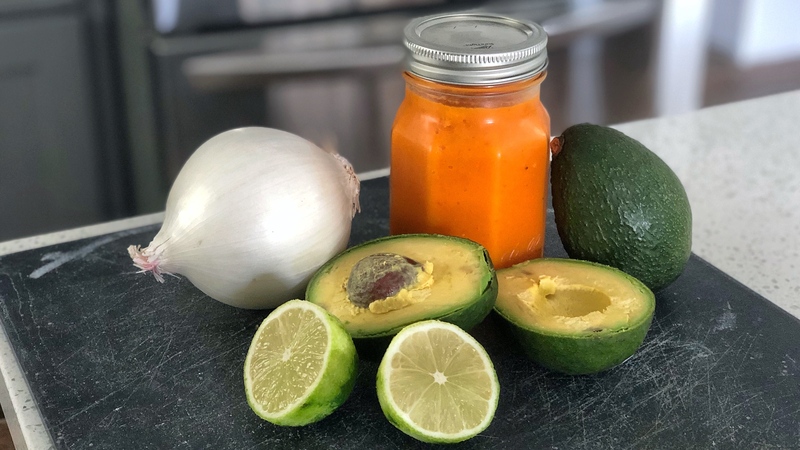 But my garden has been popping out habaneros like crazy this season, so I am always making my mango habanero salsa, which you can get the recipe for by clicking here (or above in the recipe). 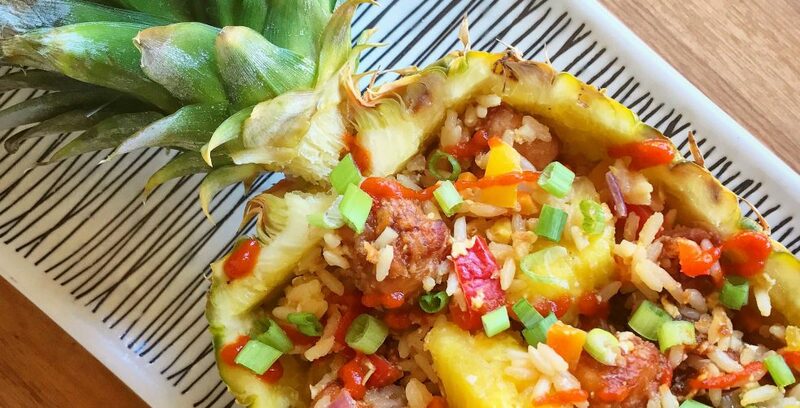 Sometimes I make it with pineapple instead of mango, equally delicious. 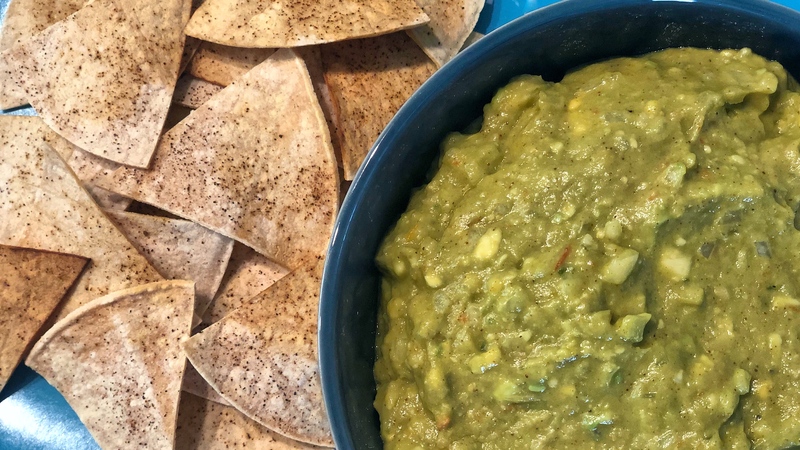 Since the salsa is always in my fridge, I’m always looking for new dishes to use it in. Feel free to use a store-bought version, or leave that step out if you want it to be more mild. One ingredient you can’t skip it the fresh lime juice. Not only does it add flavor, but it actually keeps the avocado from turning brown quickly. Make sure you get that lime on there fast. 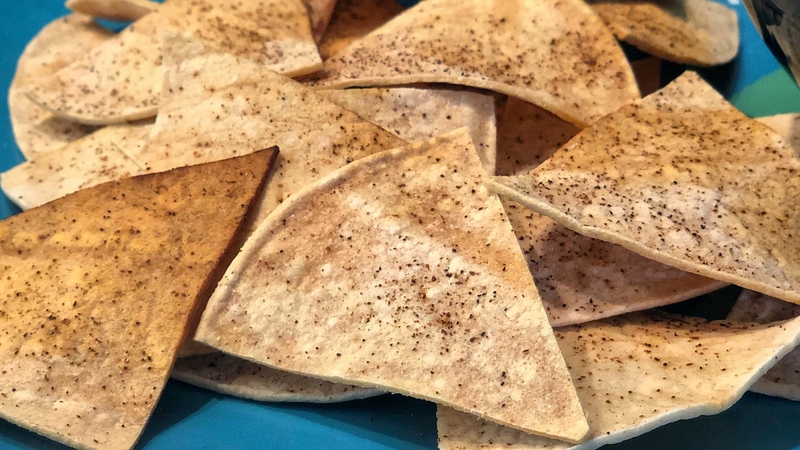 And of coooourse the easy thing to do would be buying a bag of tortilla chips, but it’s really easy to make them yourself. 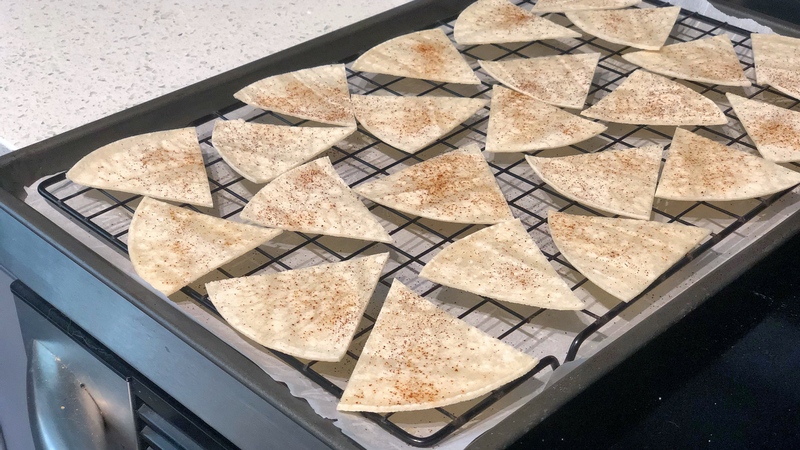 Just cut corn tortillas into triangles, place on a baking sheet, sprinkle with a touch of lime juice, chili powder and salt, and bake at 350 degrees for 10-15 minutes until crispy. It’s like instant restaurant quality chips, and you can control the seasoning and salt levels. Usually I like a make-ahead type recipe for party situations, but this is so quick to put together, I don’t mind making it the day of. Guacamole doesn’t last very long in the fridge, only a couple days. Fun fact though, you can totally freeze it for a couple months. Just put it in a freezer safe bag and make sure to squeeze all the air out before sealing. I wouldn’t necessarily recommend going that route before a party, but if you happen to have a lot leftover, it’s a good way to save it. Then down the road you can thaw it out for taco night or something else (because we all know how expensive avocados can be). Well, whether you are into the game or not, I think we can all agree that Super Bowl Sunday is fun for everyone if you have the right snacks. What are you more excited for, football or food? I’m know ready for both. i don’t think I’ve ever sat through an entire SuperBowl game. But I am always excited for the food!